Bright red cardinal blooms. 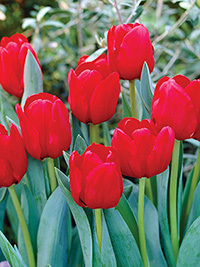 Assured to bring that 'wow' factor to the garden with this impressive shade. Early-mid season flowering, 35cm.